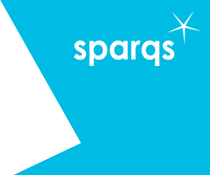 sparqs' 2019 Student Engagement Awards shortlists! We are delighted to announce the full list of awards shortlists for the 3rd sparqs' Student Engagement Awards! View the full list of awards shortlists to see who is in the running in all the awards categories! Congratulations to all those shortlisted, and good luck! Thank you to everyone who took the time to make submissions, they were of a very high standard and it was a tough decision for panel members to choose between them. The awards will be presented at the end of our conference on Thursday 28th March 2019 and we very much hope that delegates will be able to stay on for the awards reception, taking place from 5.00-6.30pm. The reception will be hosted by Professor Norman Sharp OBE, Chair of sparqs Trustee Board. Not attending the conference, but wish to attend the awards? Conference registration is currently still open! There are still some places available at the sparqs' conference! Registration officially closed on 22nd February, but we are still currently accepting registrations! Please register ASAP via the conference booking page while places still remain!